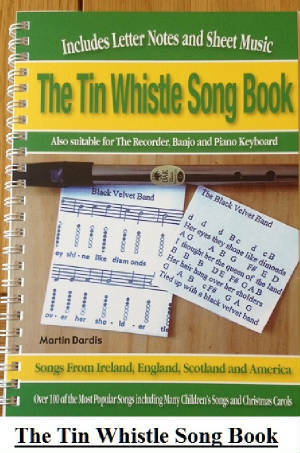 Black Velvet Band sheet music and tin whistle notes Free . I have also included an easy version for those who don't read music where I use ''Letter Notes''. The first piece of music is set in the key of G Major but you can use a D whistle to play it as that's the way I worked it out.